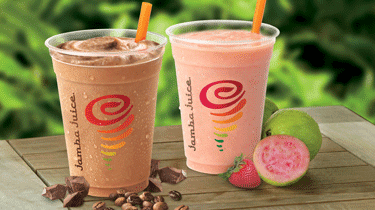 Jamba Juice, the country's healthy juice hub celebrates its 7th year with some yummy treats. The #7DaysofJamba starts on November 11 until November 17, 2018. Customers can get a free reusable bamboo straw when they purchase a 22oz (or larger) smoothie on November 11. Its a free boost day on November 12 as everyone who orders a 11oz smoothie will automatically get boosted! And on November 13, if you bring a friend using Booky Twosday (use the Booky app) and get two 12oz smoothies for only P177- you can choose from 7 favorite Jamba Juice blends. Wednesday (November 14) is Rewards Day where you can order a 12oz smoothie and pay only P50 plus 50 Globe Rewards points. Quench your thirst on Thursday, November 15 because you can avail of the buy-one-take-one 12oz smoothie promo. Its an exciting T.G.I.F on Friday, November 16 because customers will only pay P7 for a 12oz Classic smoothie using GCash QR scan-to-pay. And on Saturday, November 17, enjoy the new Holiday Dreamin' Smoothies, two 12oz cups for only P200. 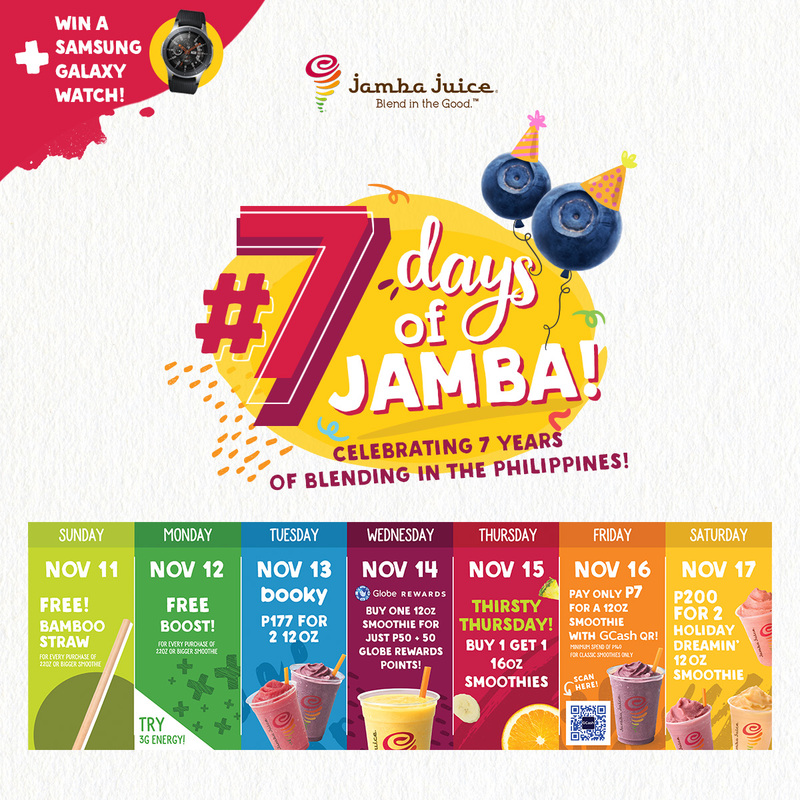 But the treats doesn't stop there, customers who join the #7DaysofJamba in-store promos has the chance to win a Samsung Galaxy Watch. Each promo purchase entitles the customer to an automatic raffle. Don't forget to post on social media also and tag @JambaJuicePH with #7DaysOfJamba.